The Boost Your Metabolism Diet is a doctor monitored diet and exercise program designed help boost your metabolism and lose weight without drugs or surgery. 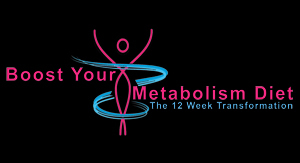 We offer the “12 Week Transformation” or the “8 Week Wonder” (accelerated program). Are you frustrated and tired of diets and dieting. Then you’re just like us. We did every diet you can think of. Yes we lost a few pounds of something: water, muscle, fat. We got bored eating chicken and broccoli and fell off the wagon only to gain back more than we lost. Sound familiar. This would go on till we just couldn’t stand it anymore; and, we would seek out another diet and try again. And fail again. Perhaps you have a big day coming up like, “Your Wedding” or “Your Reunion” or a “Vacation” or “Your Son’s or Daughter’s Wedding,” Then we have the program to transform your body. Or maybe you have that big change in your life like, “After Having Your Baby” or “After Divorce” or a “New Job” then again we are your solution with a program to transform you into that “New You” you’ve dreamed about. 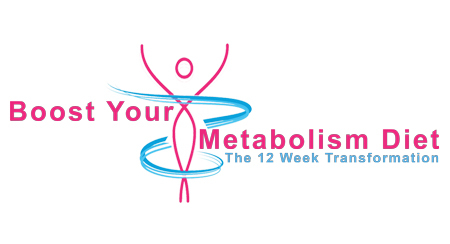 In 12 short weeks we are going to transform YOU and YOUR BODY and teach you how to sustain real ongoing weight loss! Some are ready after 12 weeks to fly solo while others with great weight to loose may need more than one 12 week program. After the 12 Week Transformation, if you’re ready, then you go on the Boost Stabilization Program and finally on to the Boost Maintenance Program. Many things sets us apart from other weight loss programs. One major difference is that we incorporate diet and exercise together. Before the Boost Your Metabolism Diet, you could join a diet; but, exercise was on your own. And you really didn’t know what to do or when to do it. OR you could join a gym and hire a personal trainer who pushed you to exercise; but, no diet support. Neither was a good answer for long term sustained weight loss. What we have done is combine diet with the proper exercise, at the right time. We complete the circle offering a complete diet and a complete exercise program together. A study published in Science News proved that diet plus exercise together is better for weight loss than either alone. But what type of exercise, aerobic or anaerobic (weight lifting) and when? You may view aerobic cardio and anaerobic, weight lifting or muscle building, as two distinct types of exercises. But, when you put them together, you create the most powerful combination for fat loss and boosting metabolism. All on the diet attend our workout classes or online streaming workouts with top workout instructors. Everyone on the diet starts with an orientation program. Here you will get the book: Boost Your Metabolism Diet by Dr. Greg Millar and Dr. Justin Walbom and the “Daily Food List”. You can start the diet on any day of the week. Just follow the food for that day. Just a note here. The food list is extensive. If it’s on list for that day you can eat it. If it’s not on the list for that day, don’t eat it. It’s that simple. We have researched and developed scientific food combining, food cycling and food shearing program that causes the body to boost its metabolism. The foods are designed to combine in such a way that feeds you and burns your fat. You turn into a lean fat burning machine. With the orientation we teach several workshops. These can be taken live or from online webinars. These include: 1) Boost Your Metabolism Diet – Basics Class. 2) Boost Your Metabolism Diet – Intermediate Class. 3) Cabinetectomy, Refrigerator & Freezerectomy. 4) Meal Planning. 5) Shopping for the diet. 6) Food Prep. 7) Cooking Class. 8) Diet Diary. 9) How to stay on the diet when other in your house are not on the diet. 10) Breathing Class. 11) Affirmations. 12) DREAM class. We are going to teach you to DREAM Wellbeing where “D” stands for Diet (anything you eat is your diet); “R” stands for Rest; “E” stands for Exercise; “A” stands for Activity and “M” stands for Mental State. Together these form the “Wheel of Wellbeing”. There is a big difference in weight loss and fat loss. In the orientation, we analyze your body composition. Using the latest in scientifically proven body composition analysis instruments, we test: What is your weight in pounds, what is your fat percentage, what does your fat weigh, what does your water weigh, and what does your bone weigh. Then we have a base line to know if you’re truly loosing fat or just losing water or muscle. We also measure your body so we can determine progress results. Next, we test your flexibility. Using key metrics like sit and reach, stand and reach and Left and Right upper body rotation, we measure your flexibility or lack thereof. This helps us design a personalized stretching program for you. Finally, we test your physical fitness level by doing specific exercises and measuring your results. Listen most of us are not very flexible or physically fit. We need to start you where you are today and not try to make you fit into an exercise class way about you when you’re not ready. Many of us need to start with stretching only classes for a few weeks. Stretching levels are: Level 0, Level 1 and Level 2. Or maybe what you need is a personalized stretching program at home. Either way we’re in. Just a note about our exercises classes. They are all taught by professionally trained and certified instructors. Dr. Phil Johnson, “Superman Phil”, directs the workout team. Every class is divided into Basic, Intermediate and Advanced dieters. So again, we put you in a program designed to maximize you, no matter what your level today. We work on Commitment and Accountability with a Weekly Boost Group Meeting and the Boost Buddy System. The weekly group meeting is a place of safety, honesty and sincerity where we can talk and share safely about our inner fears and successes. We can share our feeling with each other and help each other to realize that we are not alone in this struggle. We weigh you weekly, go over your Boost Diary, and look for progress toward goals. We look at fat loss, water loss and muscle loss and help you to stay on track. Listen, losing water weight or muscle weight your only fooling yourself, like youd have in the past on other diets. We’re different. Knowledge is power. Monthly we re-measure you and compare results. As we said earlier at the end of the 12 Week Transformation many are ready to graduate and fly solo. They are strong enough and knowledgeable enough to continue real weight loss. Others with great weight to loose may need more than one 12 week program. After the 12 Week Transformation, if you’re ready, then you go on the Boost Stabilization Program and finally on to the Boost Maintenance Program. The Boost Your Metabolism Diet is a wonderful opportunity to transform your body and your brain so you can sustain long term positive weight changes in you. Don’t procrastinate one more second. Start today! Results Vary person to person. Boost Your Metabolism Diet, LLC., is a separately owned and controlled corporation from Millar Chiropractic Associates, INC. and its subsidiaries including but not limited to Millar Chiropractic and Millar Chiropractic Clinics.